328 Support Services GmbH (328 SSG), the type certificate holder of the Dornier 328, confirmed today it has signed a Letter of Intent with AMC Aviation, the North Carolina, US based aircraft sales and leasing company to develop a multi-role/ multi-mission humanitarian version of the D328 turboprop. Working with its partners, Jetran International and Jetcor Aviation Services, the group has committed to an initial three aircraft in the conversion programme. The deal was ratified at last week's Farnborough International Airshow between 328 SSG's CEO Dave Jackson and Chris Stern, General Manager of AMC Aviation. The first two D328s are ex Corning Inc aircraft and are planned to enter modification and maintenance this August at 328's Oberpfaffenhofen Airport, near Munich base, to be ready for delivery in early 2019. A third aircraft, with the same modifications and additional systems plus Air Operable AFT cargo door and oversized windows on either side of the aircraft, will follow. The initial programme of work on the first two 328s will cover - C1 through to C4 maintenance checks; upgrades to the existing avionic systems; modifications such as ADS-B out, Dual Flight Management (FMS), plus SATCOM with Wi-Fi and satellite tracking capabilities. The installation of gravel kit for better unapproved runway operations and provisioning for systems including retractable turret for EO/IR camera installations and other systems will further enhance the aircraft's operational advantages. Multi role /multi mission covers 12 applications. "We are delighted that AMC Aviation, along with its partners, share our vision about this aircraft and the multi roles it can serve. Not just flying commercial passengers, but for humanitarian use as well," said Dave Jackson, CEO, 328 SSG. Chris Stern, General Manager of AMC Aviation commented: "The Dornier 328 is the perfect rugged and versatile platform, extremely well suited for our novel approach to bring true multi-mission capability and operational safety to humanitarian operators in difficult environments." "I am very pleased to bring this popular aircraft into the Humanitarian/Special Purpose World of operations. Jetran is honoured to be involved and will support this unique and exciting project working closely with 328 AMC and Jetcor," highlighted Doug Jaffe, CEO of Jetran. Re-entry to service inspection programme 328 SSG is currently engaged on a "Re-Entry into Service" inspection programme, taking the aircraft to the latest standards for maintenance. This certifies the Type Certificate holder has inspected and repaired the aircraft to near production level standards so they can operate into jurisdictions that have strict aircraft age limitations. "Holding a 'Re-Entry into Service Certificate,' issued by the Type Certificate Holder, as well as the maintenance, inspections, upgrades and modifications will endorse an aircraft not currently seen in this category. It will also greatly improve the operational capabilities for the future," added Dave Jackson. 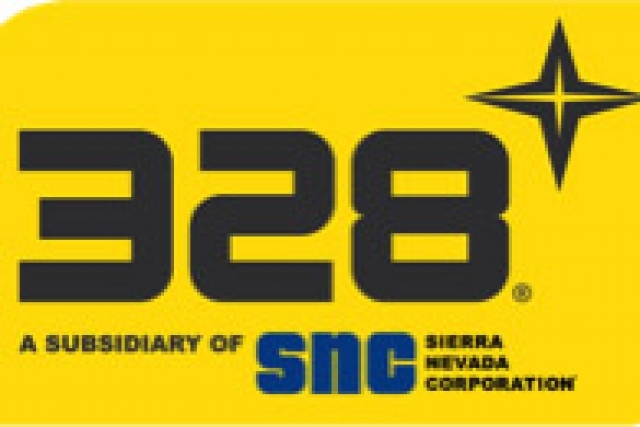 328 SSG is a subsidiary of Sierra Nevada Corporation, specializing in Space and Defence, and with over 3,000 employees offering a broad spectrum of services to the aircraft industry. 328 SSG employs over 160 aviation experts and supports more than 200 Dornier 328 aircraft globally. Services offered include aircraft maintenance, base and line, avionics installation, refurbishment, exterior painting, Part-M services, STC design activities through its EASA Part 21J Design Organisation (Category 1A), parts' manufacture through its Part 21G Approved Production Organisation (C1, C2 and D1 rating) and bespoke special interiors including avionic and mission upgrades. 328 SSG is based at Oberpfaffenhofen Airport near Munich, Germany. AMC's mission is to bridge a notorious gap for small and mid-size multi-role turboprop aircraft. Multi-role means, these aircraft are not airliners, although sometimes they are. Also, they are not freighters, although sometimes they are. They are not military, although humanitarian transport is very similar to it. Hence, this type of aircraft is underserved. AMC's role is helping operators getting their multi-role operations on platforms that make sense. Formed in 1985 to serve the air transport industry, Jetran has built a reputation worldwide for offering customers individually tailored solutions for all of their aircraft needs. Capitalizing on its experienced team members overseeing a wide range of disciplines, along with its frequent acquisition of large engine and aircraft inventories, Jetran is able to provide its customers a diverse range of products at industry low costs. From aircraft financing to engine modifications, its wide range of products allows the business to offer total solutions unparalleled in the industry. Jetcor Aviation Services is a one aligned team dedicated to its clients. It maintains a reliable partnership with all clients and manufacturers to provide efficient, cost effective professional services and products that meet superior standards within the industry.